Born and raised in Argentina and the son of Olympic Equestrian Jumper, Jorge Bedoya Guido, Mariano is an accomplished rider and certified international trainer. He has lived in the United States since 2003 with his wife, Luciana Solari, who is also an equestrian athlete and trainer, and their show dogs, Otzi and Obi. Mariano began his show jumping career in Argentina and has been trained by many top international riders, including Nelson Pessoa. He was on the Argentine Equestrian Team and began competing in the Nations Cup Competitions in South America and Europe in 1986. He participated in International Grand Prix Competitions in the US, Canada, South American, and Europe. He went to the Pan American Games in La Habana in 1991. He was on the 4th place team at the Pan American Games in Santo Domingo in 2003 and qualified for the Olympic Games in 1996 and 2004. In addition, he was on the Argentina Eventing Team from 1997 to 1999. After turning professional Mariano trained team members from central America and prepared them for Grand Prix showing level and was a personal trainer for a silver medalist at the Pan Am Games. In 1996 Mariano trained and qualified an individual rider from South America for the Atlanta ‘96 Olympics and the ‘98 Rome World Equestrian Games. Since 2003 Mariano has been training riders and showing horses here in the US. Mariano prides himself on taking horses and riders to achieving their goals, whether that is in the jumper, hunter, or equitation ring. Mariano’s passion for teaching and his experience creates safe, successful, and fun results for his clients. Mariano has riders from beginners all the way to Grand Prix riders, bringing them equal passion and encouragement. Luciana started riding when she was seven in Argentina. Most of Luciana’s riding was under the instruction of a German trainer who taught her both diligent riding techniques as well an organized management for horses. 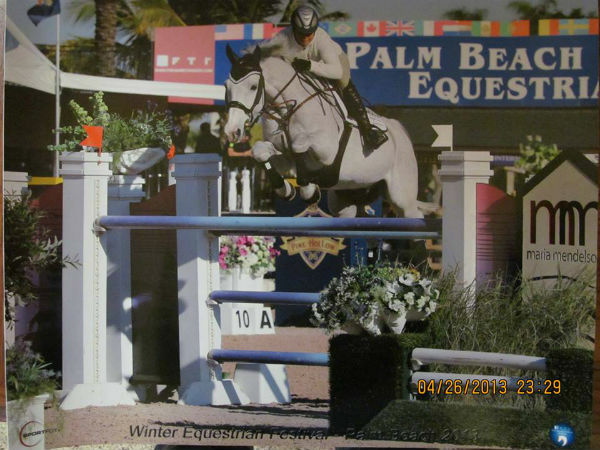 Luciana reached top levels, riding in the high amateur owner jumpers and the Grand Prixs. Luciana also has a passion for working with young horses. She teaches them to trust her through her patience, consistency, and encouragement. She is very creative in her training approach to accommodate all young horses she trains. Luciana believes that all of the horses are unique and that as a trainer you need to be flexible in the approach in order to have each horse succeed. 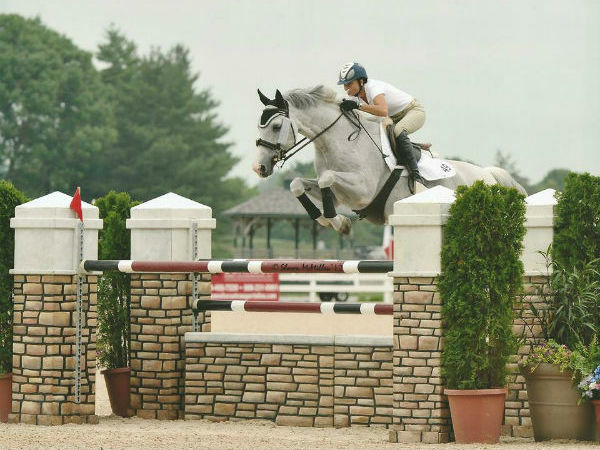 Luciana teaches riders at all levels. When teaching a lesson, Luciana brings a fun and energetic presence to the ring. It is important to her that her students learn a strong foundation of flat work and then proceed to jumping. Luciana wants her students to feel confident in the saddle, enjoy riding, and to respect their horse. Luciana monitors each of the horses to be sure that they are at their optimal level of nutrition and condition. Through her years of managing horses, she has a keen eye for any changes in the horses. She also has a strong knowledge base for how to treat and feed the horse to create positive healthy horses. Luciana is also a cleaning and organization machine. She has a system within her barn that allows it to operate smoothly, which makes it a positive environment for the horses and owners. Client Sharon Brown remarked, "While in Ocala, all the rest of us are at a party and she wouldn’t leave until she had finished cleaning and organizing." In Ocala, Luciana brought 20 different bits and reins to the ring to see which one would work best for a horse. She is constantly thinking and planning how to get the best results. Whether Luciana is teaching a lesson, schooling a horse, or working in the barn, her passion for horses always shines.